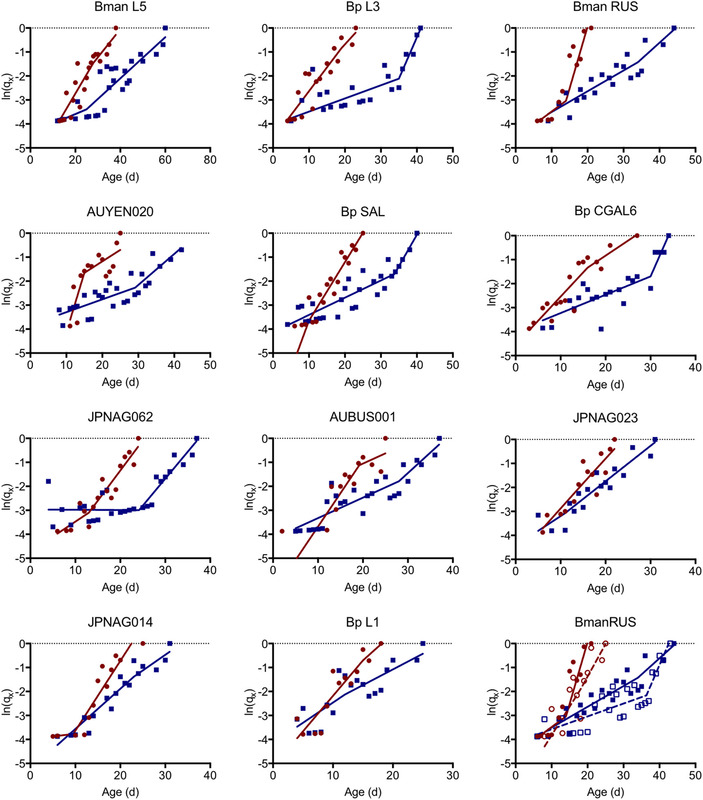 Lifespan extension under low temperature is well conserved across both endothermic and exothermic taxa, but the mechanism underlying this change in aging is poorly understood. 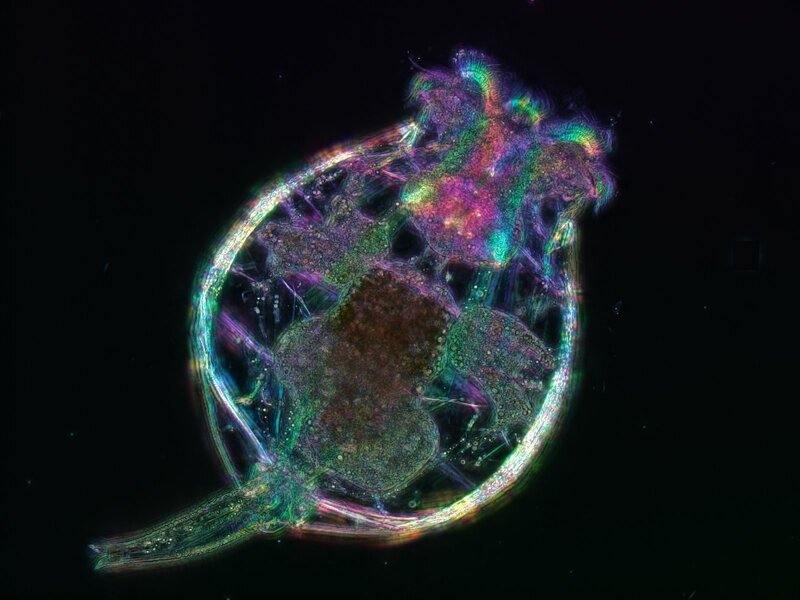 Low temperature is thought to decrease metabolic rate, thus slowing the accumulation of cellular damage from reactive oxygen species, although recent evidence suggests involvement of specific cold-sensing biochemical pathways. 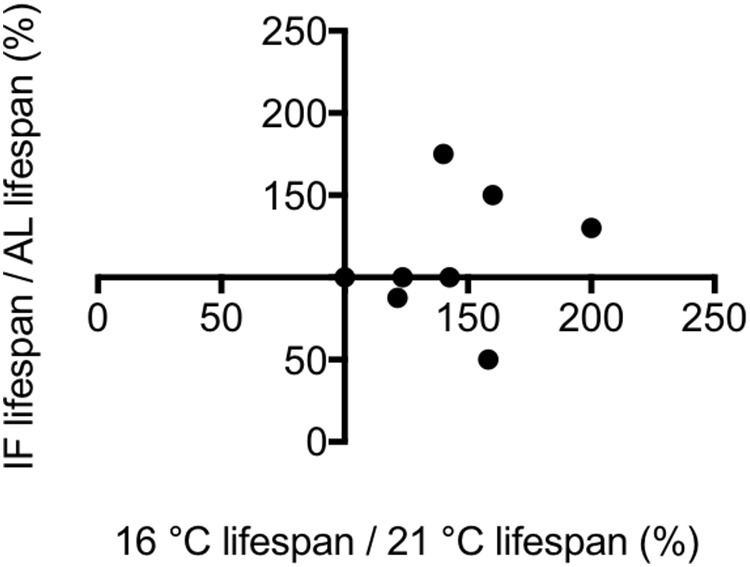 We tested the effect of low temperature on aging in 11 strains of Brachionus rotifers, with the hypothesis that if the mechanism of lifespan extension is purely thermodynamic, all strains should have a similar increase in lifespan. We found differences in change in median lifespan ranging from a 6% decrease to a 100% increase, as well as differences in maximum and relative lifespan extension and in mortality rate. 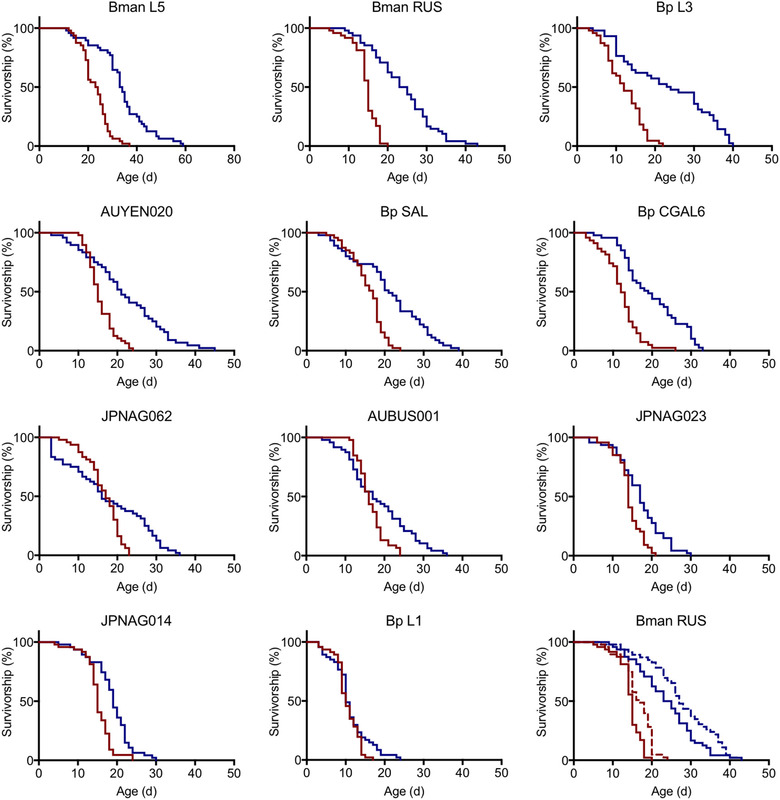 Low temperature delays reproductive senescence in most strains, suggesting an extension of healthspan, even in strains with little to no change in lifespan. The combination of low temperature and caloric restriction in one strain resulted in an additive lifespan increase, indicating these interventions may work via non- or partially-overlapping pathways. 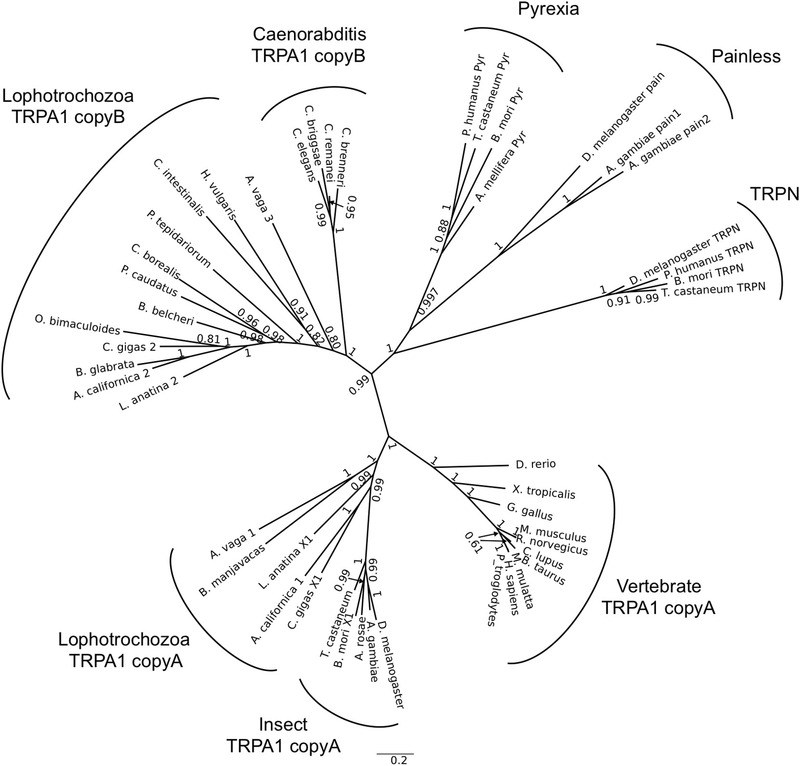 The known low temperature sensor TRPA1 is present in the rotifer genome, but chemical TRPA1 agonists did not affect lifespan, suggesting that this gene may be involved in low temperature sensation but not in chemoreception in rotifers. 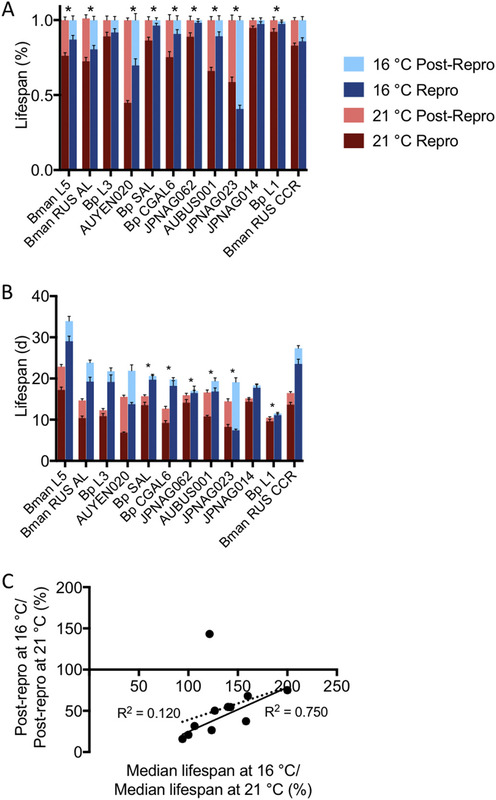 The congeneric variability in response to low temperature suggests that the mechanism of low temperature lifespan extension is an active genetic process rather than a passive thermodynamic one and is dependent upon genotype.